The holidays are upon us, and I am very much looking forward to Thanksgiving this year. I love the times when family and friends can come together and really celebrate with each other. And now that my sibs and I are all technically adults, I love that everyone contributes to the day (not just showing up for a big meal). My planning-mode goes into overdrive for these kinds of things – I already have multiple lists going for dish ingredients, cooking schedules, and items I can’t forget to bring with me. And not only am I thinking about food (I’m planning on contributing 3 side dishes, a dessert, and a morning-after breakfast dish), but I also get excited about decor. The host-space we’re having our celebration at will be a fairly blank-slate, so took it upon myself to design a tablescape for the meal. The photo above is a mock up on my dining table. I knew it had to be a simple setup, since I’ll be bringing it all with me, and I don’t want to take too much time with it – heck, we’ll be cooking for a good crowd! Can’t indulge in decorations too much, amirite? The idea for this simple Thanksgiving centerpiece came from an awesome set of amber cut-glass goblets I happened upon the last time I scoped out Goodwill. I knew that if I arranged them upside-down, they’d make excellent stands for mercury glass votives and tea light candles. 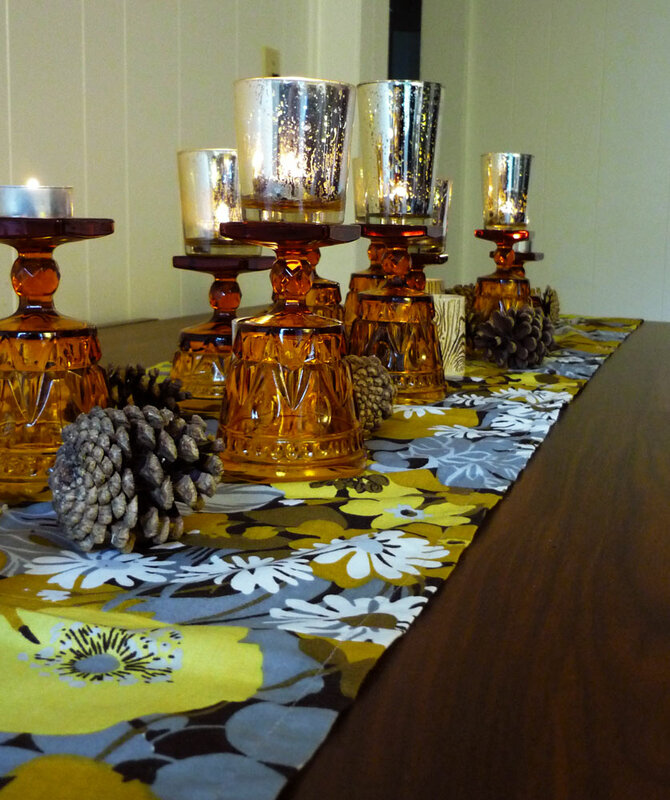 I centered the whole arrangement on a long table runner I made a few seasons back and scattered a dozen pinecones between the glasses for an understated autumnal look. Hope your holiday plans are warm and cozy! 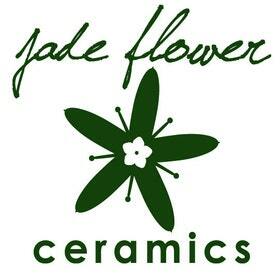 Enter your email address to subscribe and receive notifications of new Jadeflower posts by email.